When he was 16, Karan Rastogi encountered “manual scavengers” for the first time. These workers were mostly from lower caste families, who collect and dispose of human excrement from dry latrines in India. He was left haunted by the degrading and unsanitary nature of their work and the abject poverty they lived in. Now, he has found a way to help them through a company he co-founded, HelpUsGreen, a social enterprise that recycles waste flowers and pesticides, which are dumped into India’s Ganges river each year, into products like compost and incense. HelpUsGreen is among the six companies to emerge tops at this year’s DBS-NUS Social Venture Challenge Asia, a regional competition to support social ventures with the potential to generate sustainable social impact. Organised by DBS Foundation and NUS Enterprise, this year’s competition saw 1,080 entries from 31 countries, from which 16 finalists were selected. The six winners in the Enterprise Category were awarded SGD 20,000 each, and will also receive follow-on support from relevant partners. Read on to find out more about this year’s winners. Hong Kong-based accountant Quin Thong went to Bhutan for a holiday in 2014, and hasn’t stopped returning – or giving back – since. Impressed by the weaving skills of a woman she met in a village, Thong set out to sell eight scarves created by the woman over social media – and ended up with over 1,000 orders within 16 weeks. “We ended up employing the whole village,” she says. 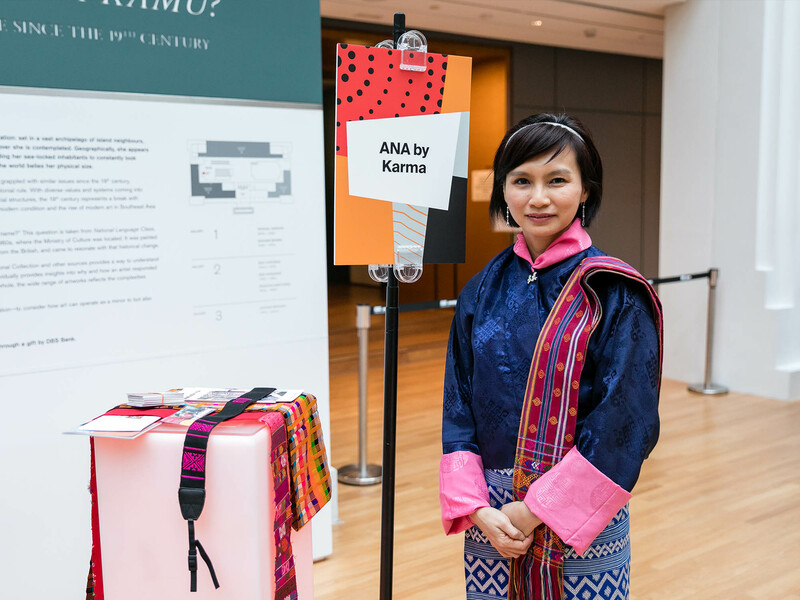 She set up ANA by Karma, a social enterprise aimed at improving the livelihoods of Bhutanese women weavers by finding new markets for their creations. They also provide holistic training in areas such as basic computing and business skills. Despite holding down a full-time job as a managing director at an accounting firm, Thong continues to find the time to grow ANA, by expanding sales into retail shops. She hopes to enter new markets like the US, Japan and Europe, and collaborate with designers as a way of making a traditional craft more appealing to the contemporary customer. Some 40 per cent of Indonesians depend on agriculture to earn a living, yet many live in poverty because of their inability to find the capital needed to grow their business. Enter Crowde, a crowd-funding web platform that helps poor farmers raise working capital by connecting them to retail investors, with a profit-sharing scheme. No one cared about farmers, so we felt that we needed to give attention to this issue. Karunia noted that the competition has helped broaden their horizons and learn from other social entrepreneurs from Asia. “The way they think, the way they solve problems, we have a learnt a lot,” he says. 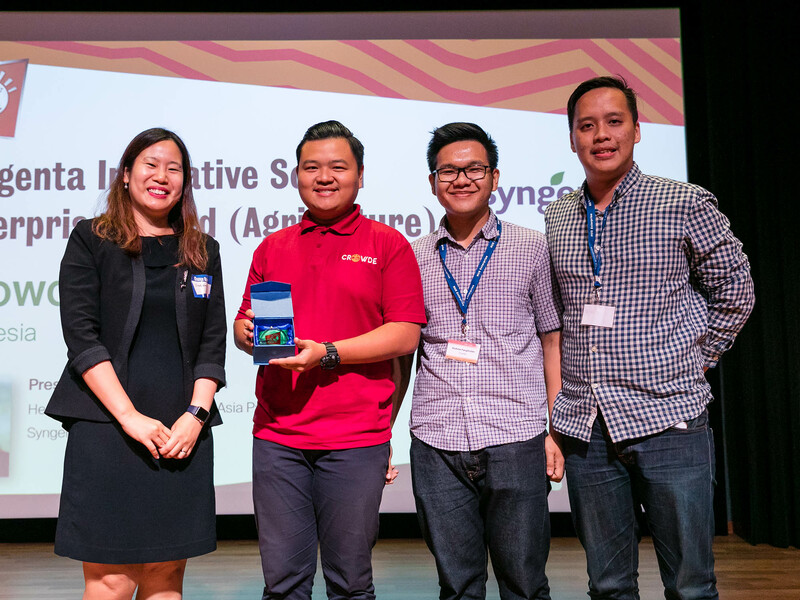 Crowde also won a SGD20,000 cash prize sponsored by Syngenta for the best use of technology for agriculture. Read more - Is your social enterprise creating the impact you want? In India, there are thousands of government and private schemes to help the poor, yet much of it goes untouched, due to a lack of knowledge or the means to access these schemes by those who need them most. Technology could help: social enterprise Haqdarshak uses a mobile application to aggregate the information and trains an army of community entrepreneurs – called “Haqdarshaks” – on using the app. They then fan out across the country to engage citizens face-to-face. The Haqdarshaks earn a fee in return for screening the beneficiaries and collating the required documents, and the company takes a cut of the fee. Education is a lifelong journey. Our newly trained Haqdarshaks in Andhra Pradesh, intently learning how to empower people using technology. Co-founder and CEO Aniket Doeger was a teacher who later worked in non-profits in rural communities and saw first-hand the difficulties faced in implementing social security measures. Being among the winners of DBS-NUS SVC Asia will not only help expand the company’s training programme and build better tools, it will also provide the recognition and platform needed to boost its profile. “This kind of platform is hard to find, and it gives us a lot of credibility,” he says. In India, showering flowers into lakes and rivers is a religious act of devotion, but it is also deadly to the rivers as rotting flowers kill fish and wreak havoc on the eco-system, while the pesticides and chemicals used in growing the flowers turn the waters toxic. Perturbed by this problem, Karan Rastogi and his business partner Ankit Agarwal started HelpUsGreen in 2014, to upcycle the waste by processing it into organic fertiliser, natural incense and a biodegradable alternative to plastics. They also employ marginalised manual scavenger women, providing them with a fresh start. I was working as an automation scientist and all this time I was running around trying to get a patent. I wouldn’t sleep at night, I skipped meals, all my life was about getting this patent. But the day I got it, there was no happiness. It made me really think about what I want to do. Taking part in DBS-NUS SVC Asia has brought about new opportunities, with Rastogi saying there has been interest in investing in the company. “We are setting up a full-fledged facility which will recycle four tonnes of waste every day. We are looking forward to that,” he added. A graphic designer by trade, Nguyen Thi Van, was involved in providing free vocational training to people with disabilities (PwDs) at a non-profit centre for 14 years. “Companies really liked our students, which meant they can do a good job. So I thought, why not start our own company, and hire our students to work for us?” says Nguyen Thi Van, herself a wheelchair user. She co-founded Imagtor, which trains and employs PwDs to provide digital services such as video and photography editing - work that can be done remotely. “In Vietnam, even people from universities find it difficult to get jobs. After university, they go back and become farmers, they work in factories. For PwDs, it is even harder. So, we needed to do something different, we need to turn their weaknesses into strengths,” she says. Aside from the Enterprise Category award, Imagtor also walked away with a SGD5,000 Dell Digital Award and a SGD$20,000 Head Foundation Innovative Social Enterprise Award (Education). Confronted by the sight of the poor living in urban slums in Jakarta, Maral Dipodiputro first left her corporate lawyer job to work for a government taskforce on development projects for the marginalised, before setting up TEMU, a low-skills job marketplace to connect jobseekers to jobs, by collecting the jobseekers’ data to ensure a good match. TEMU also won a SGD 5,000 Dell Digital Award for having the best proposed digital project for a social business. Going forward, the company wants to get more jobseekers on its network. This article was first published on AsiaForGood.com. EvowareWorld and CocoAsenso were the two Idea category winners at the 2017 DBS-SVCA. Read more about them.